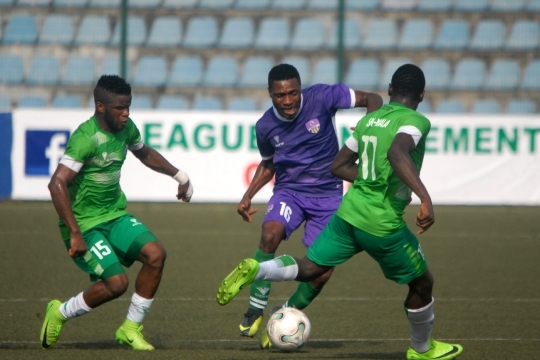 MFM FC forward Chijioke Akunneto has stated that he is sure his side will not miss out of the top 3 positions needed to qualify for the championship stage as the team’s winless streak now extends to five matches which have seen the Lagos based NPFL side drop down from first to second and now third on the NPFL group A table. Akunneto told www.brila.net that the going has been tough recently but stressed that they won’t go below the spot needed to qualify for the next stage of the league and assured fans of the club to keep faith with the team at this point in the league. “It’s been tough for us recently but football is sometimes like that. No matter what we will make the top three to qualify this I am so sure of. MFM FC now risk missing out of the top three should Lobi stars get to win it outstanding game and result fails to change for the Lagos side.